License and insured full service restoration company handling both commercial and residential sectors. 24 hour emergency fire & water damage restoration clean up specialist. 1 hour response time once call comes in through call center. Water, fire, or mold can cause a great deal of devastation if not treated immediately causing calamitous effects. Our highly trained experts are on call 24/7 to help you through this overwhelming time. We work alongside your insurance to see that your home or business is returned to pre-disaster condition or better in a quick and professional manner. We have highly trained personal to handle all of your restoration needs from start to finish, working with your insurance carrier to get the claim paid. We are a Master Certified IICRC Restoration Company Located in Santa Rosa Beach, Fl. We handle Commercial and Residential losses of any type of restoration. We handle Large losses to small loses in all types of restoration. 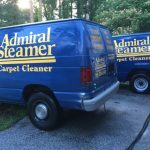 We have advance equipment and techniques to get the job done quickly and efficiently with outstanding results, getting you back in your property as fast as possible. 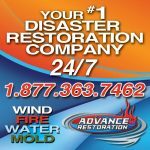 Fire, water and mold restoration. Serving Northern Ohio Since 1998 – Restorepro is a locally owned non franchised full service disaster cleanup and restoration company operating in Sandusky, Ohio. Our standard of excellence is what sets Restorepro apart from all other disaster cleanup companies. Owned and operated by Jon Fields, we make customer service and satisfaction our number one goal. We build strong relationships with our customers and treat your home and business as if it were our own. Should disaster strike Northern Ohio, Restorepro will provide high-quality, full-service emergency response and restoration services. We understand the devastating effects floods, fires, and other natural disasters can have on your home or business. That is why we are available to assist you 24 hours a day, 365 days a year. Our Sandusky, OH disaster restoration services include: fire, smoke & water damage restoration, mold inspection and removal, pathogen neutralization, odor removal, asbestos testing and remediation, trauma and crime scene clean up, storm damage repair, flooded basement cleanup, contents restoration, carpet and upholstery cleaning, construction and remodel services and bedbug destruction.